Plastics & Polythene – What Does Biodegradable Really Mean? Biodegradeable and Compostable, what are they in relation to polythene? Plastics are versatile and cheap materials which are used in a huge variety of different ways in modern life. Comparatively strong whilst being light and flexible, the synthetic chemicals are utilised in everything from packaging to furniture production. Due to their nature as synthetic chemicals, however, plastics have long caused environmental problems when they are disposed of incorrectly. Liable to hang around for long periods of time without breaking down, waste plastic can be hazardous to wildlife, generally pollute the natural world and even create a health hazard. For those very reasons, there has recently been a significant move towards the production of more environmentally friendly options known as biodegradable plastics. That term, however, is one which is not as straightforward as it may seem and demands a little more investigation. What Really Are Biodegrable Plastics? When the concept of biodegrable plastics first appeared, there was little consensus as to what the term really meant. Today, it is broadly accepted that biodegrable plastics are plastics which break down or decompose in the presence of air and sunlight, due to the action of living organisms such as bacteria. Some organisations and authorities even add an idea of a ‘return to nature’ to their definition of biodegradable in the case of plastics, but that is a contentious area – as we will discuss later. 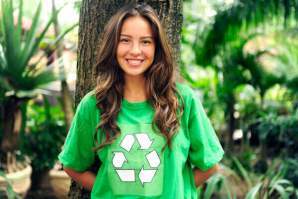 When taking the more general definition of biodegradable plastics, there are two identifiable types. Firstly, so-called bioplastics are plastics which are made from organic and renewable sources such as vegetable oils, and it is for that reason that they are biodegradable. The second type, meanwhile, are biodegradable plastics made from the same petrochemicals as normal plastics but with biodegradable additives designed to aid their break down. Up to now, then, things seem comparatively simple and straightforward, and there’s no question as to the potential benefits of such biodegradable plastics. There are, however, a few notable confusions and controversies when it comes to just what constitutes a biodegradable plastic. The major confusion when it comes to peoples’ understanding of biodegrable plastics stems from a difficulty in discerning the difference between ‘biodegradable’ and ‘compostable’. If something is ‘compostable’ it breaks down by the actions of bacteria or other living organisms to form compost or humus. ‘Biodegradable’, meanwhile, is a somewhat broader term which can include elements, chemicals or items which break down in the same way but leave behind certain inorganic compounds. It is for that reason, therefore, that the aforementioned idea of biodegradable plastics ‘returning to nature’ is not a particularly accurate one. Alongside that notable confusion, there is also a source of controversy when it comes to biodegradable and degradable polythene and plastics and how they are disposed of. In order to be biodegradable, after all, the plastics require sunlight and air. These plastics, however, cannot generally be recycled along with normal plastics and often find themselves in landfill. Landfills, by design, are kept in a situation devoid of sunlight and air in order to limit their emission of greenhouse gases. As such, they do not actually provide the circumstances required for biodegradable plastics to actually break down. People simply cannot, therefore, assume that the environmental issues associated with the disposal of plastics have been solved by the invention of biodegradable plastics. Instead, it remains crucial for individuals and organisations to take the time to dispose of all plastics responsibly.